KLFW RTW 2017 Day 3, we were awed by all the top 20 young talents from 10 Asean countries showcase their Asean themed creations on the runway for AirAsia Runway Ready Designer Search 2017 Grand Finale. And... the grand winner from Vietnam walked away with prizes worth MYR350,000 including production of their capsule collection to be sold on FashionValet and a confirmed slot to showcase at KL Fashion Week 2018. The moment the 3 models on the runway wearing Tran Thi Tu from Vietnam creations I was stunned by the details, sparks, color combinations and artworks. I had the strong feeling that she will be the grand winner and true enough. Congratulations! 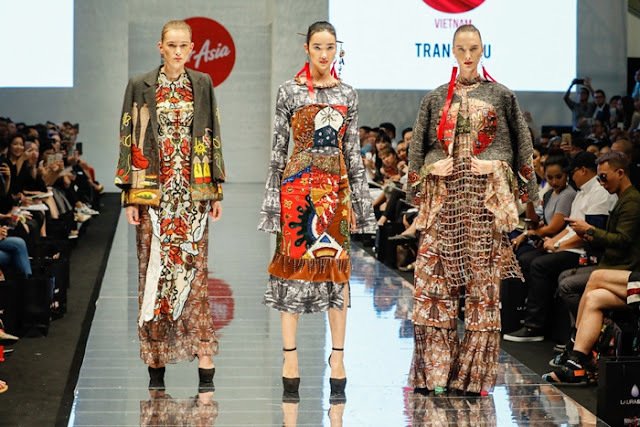 Tran Thi Tu from Vietnam, the Grand Winner of AirAsia Runway Ready Designer Search 2017 walked away with prizes including a confirmed show segment to showcase their full collection at KLFW RTW 2018, a year-long mentorship from the KLFW RTW team, MYR25,000 sponsored by FashionValet to produce a capsule collection to be sold on fashionvalet.com, 150,000 AirAsia BIG Points, a six-page fashion spread in AirAsia’s Travel3Sixty inflight magazine, a special feature in Female Malaysia magazine and a pair of AirAsia return flights. AirAsia Runway Ready Designer Search was established with the aim of empowering youth and developing young talents in the fashion industry across the region. This year’s panel of judges for the Grand Finale included judges from all Asean countries, as well as Aireen Omar, CEO of AirAsia Berhad; Andrew Tan, Founder of KLFW RTW; and Vivy Yusof, Co-Founder of FashionValet. Rides for the regional judges for the grand finale were sponsored by Uber. Last year’s AirAsia Runway Ready Designer Search winner, Anuruk Jaidee from Thailand, also made a special appearance and showcased his full collection on the KLFW RTW 2017 runway. 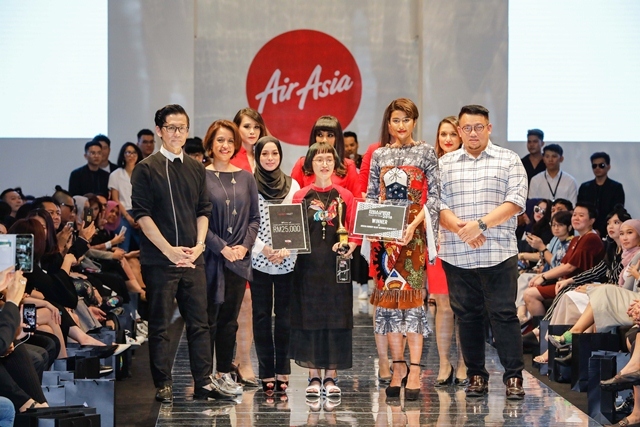 AirAsia is also KLFW RTW 2017’s Preferred Travel Partner and is proud to have flown in internationalfashion designers from across AirAsia’s extensive route network, including Ka-Sha (India), Reclothing Bank (China), Resurrection (South Korea), TAKK (Japan), Yousef Akbar (Australia) and Anthony Ramirez (Philippines).